Who is God? Does He care what I do with my life? Does God really love me? These days many young people are confused about God. 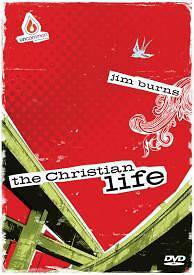 Help youth workers provide a solid foundation for teens with The Christian Life high school study resource. Part of the exciting new Uncommon youth resource line, this staightforward presentation of the Gospel will help young people discover for themselves what it means to be a follower of Christ and how they can walk in God's love and forgiveness. The three four-week modules examine one of the most critical parts of a young person's life, their faith. Lead teens to discover the basics of the Christian life, starting with God's love, how to set strong foundation and understanding God's will for their lives.